Persona 4 is beloved my many for its social and psychological commentary. It tackles several adult issues and examines the role identities play in society and how people accept them or struggle to establish an identity. Through all the dark and mature themes, there is one character who serves as the contrast to the adult themes presented in Persona 4. 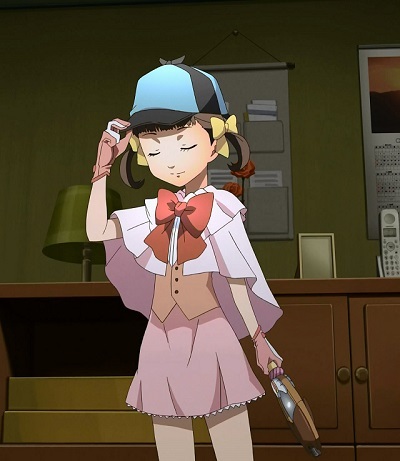 Nanako Dojima is the cousin of the protagoinst and the daughter of Ryotaro Dojima. She is at first shy towards people, but as the game progresses, she warms up to them. 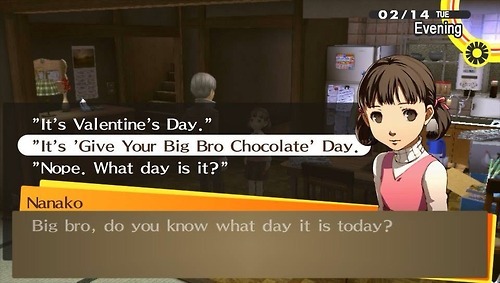 The protagonist is often referred to as “Big Bro.” Nanako sees him as a brotherly figure and as part of the family. Nanako is surprisingly independent for her age as she is able to do the chores, get groceries, and keep the house clean while her father is out at work or working on an investigation. She is willing to take on responsibilities while still enjoying being a kid. Junes is Nanako’s favorite place in Inaba. Whenever there is a Junes commercial on TV, Nanako will sing the famous Junes slogan,”Every day’s great at your Junes!” Eventually, she gets to meet all of the protagonist’s friends and becomes a part of the group. Nanako is the representation of innocence. As children, we all started out like Nanako with no problems, no issues, and no trauma to deal with. Nanako reminds us all of our innocent charm we had as kids. Nanako’s mother, Chisato, was killed in a hit and run accident when she was younger. The death had an impact on both Nanako and her father, especially since Nanako has both the looks and actions of her mother. 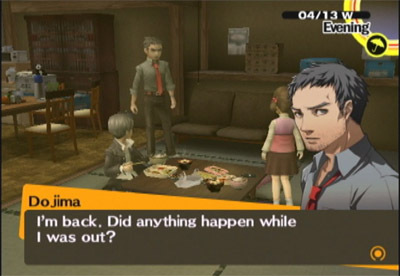 As the protagonist builds a social link to Nanako, he finds out the Dojima family is strained at times. Naturally, Nanako misses her mother and wonders why she could not be with them and why she had to go. She mentions how her father never talks about her mother and never displays any pictures of her in the house. Eventually, Nanako learns her father feels lonely and misses Chisato as much and comes to understand the sadness he struggles to cope with in a daily basis. 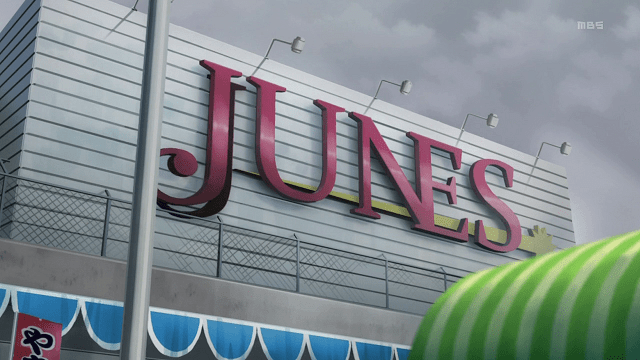 Nanako’s favorite place in Inaba, the famous Junes. As the party advances to the upper floors, Heaven starts to become more demented. At the summit of Heaven, the party finds out Taro Namatame was the one who kidnapped Nanako. Namatame becomes possessed by Kunino-sagiri, the fog spirit. After the party defeats Kunino-sagiri, they take Nanako and Namatame back to Inaba. Unfortunately, Nanako’s exposure to the fog made her ill and had to be taken to the Inaba Hospital. While at the hospital, the party tries to find a present Nanako will enjoy once she gets out of the hospital. As the weeks pass, Nanako’s health began to improve. Once the fog from the TV world begins to leak out in Inaba, Nanako’s health suddenly declines. 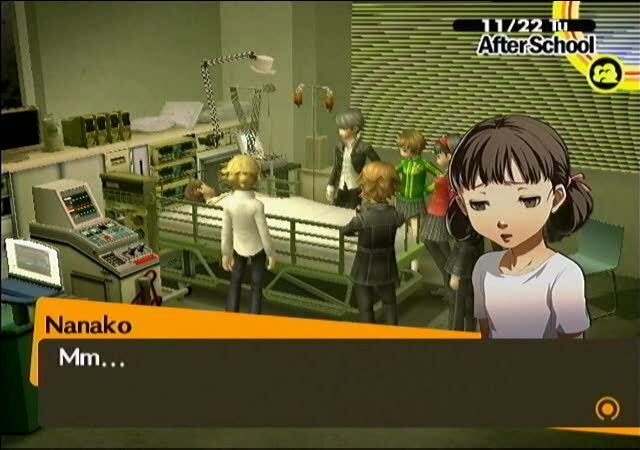 Everyone quickly rushes to the hospital to see Nanako. With her last breath, she talks to her friends and family. Soon afterwards, her life ends as the heart monitor machine no longer detects a beat. This moment becomes an emotional mixture of sadness and anger for both the party and for the player. Depending on what actions the player selects at that point, the outcome for Nanako changes. By making the wrong choices, Nanako remains dead. By making the right choices, Nanako will awaken from her supposed “death”. The Dojima family plus the Protagonist. Nanako reminds us of our innocence we once had as kids. Throughout Persona 4, Nanako keeps an upbeat, optimistic attitude. She creates a bond with her “big bro” and comes to terms with both the death of her mother and her father’s grief over the loss. As an independent kid, Nanako brings a smile to anyone she meets in Inaba. If you would like to learn more about the social and psychological of Persona 4 as a whole, check out Gaming Crossroads: Persona 4’s Commentary is Influential. In my Gaming Crossroads series, I discuss a variety of topics related to gaming both within and outside the industry.